The rocket landings have become a regular fixture on SpaceX launches as the California-based company tries to perfect techniques to make the Falcon 9 first stage reusable, a goal SpaceX founder and chief executive Elon Musk says is vital to reducing the cost of spaceflight. It was SpaceX’s third attempt to land a Falcon 9 booster on the company’s drone ship positioned downrange in the ocean. SpaceX’s first rocket landing attempt on shore in December was successful, giving the company a triumph to close the year after a launch failure in June grounded the Falcon 9 for nearly six months. The Falcon 9’s first stage, which stands 14 stories tall and measures 12 feet (3.7 meters) in diameter, flew on course to the drone ship Sunday after liftoff from Vandenberg Air Force Base in California. The booster jettisoned from the Falcon 9’s upper stage, which continued into orbit with the Jason 3 oceanography satellite for U.S. and European science institutions, then flipped around and slowed down before reaching the landing platform. 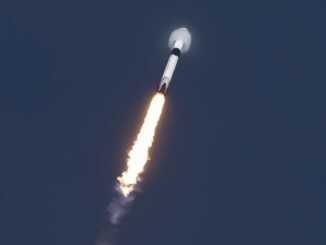 The rocket’s center engine, one of nine Merlin engines on the Falcon 9 first stage, fired to put on the brakes just as the vehicle approached the drone ship named “Just Read the Instructions” after a starship featured in science fiction writer Iain Banks’ novels. The rocket was right on course — just 4.3 feet (1.3 meters) off center, SpaceX said — but a collet on leg No. 3 failed to latch, and the landing gear crumpled as the booster settled on the ship’s deck. A video posted to Instagram by Musk showed the rocket falling over and breaking apart in a fireball, and a photo released by SpaceX showed wreckage strewn across the platform positioned about 170 miles (280 kilometers) south of Vandenberg in the Pacific Ocean. The failed landing makes SpaceX 0-for-3 when targeting touchdowns on the ocean-going barge, but Sunday’s try came closer to sticking the landing than earlier attempts. 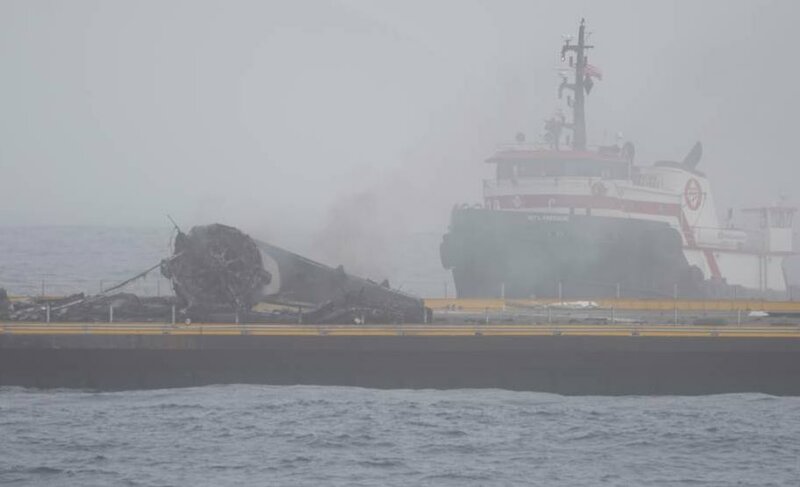 Engineers blamed the explosive crash landing of a Falcon 9 booster in January 2015 on insufficient hydraulic fluid for the rocket’s steering fins, and a first stage made a hard landing in April 2015 after a throttle valve on the landing engine became stuck. No such problems haunted the Falcon 9 rocket’s descent Sunday, and officials said the landing would have been successful without the broken leg. 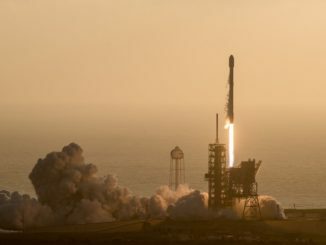 Officials admit landing on a ship presents more challenges the returning than booster to land, but if SpaceX eventually aims to recover and reuse all its Falcon 9 boosters, the barge is essential. Underwater thrusters on SpaceX’s drone ships keep the vessels in place, but the barge can spin and is susceptible to rocking from waves. He added that a similar problem on a landing back on the coast would have probably had the same result. High-energy Falcon 9 flights, like the next launch scheduled for early February from Florida with the SES 9 television broadcasting craft, must reach higher speeds during the first stage’s nearly three-minute burn, leaving no fuel to turn around and fly back to the launch site. 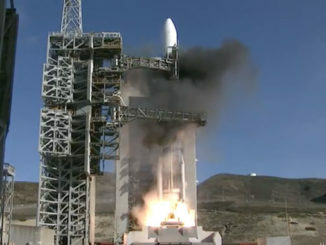 Most communications satellites are deployed into high-altitude trajectories on the way to geostationary orbit 22,300 miles (36,000 kilometers) above Earth, requiring extra speed over launches to low Earth orbit like the Jason 3 mission. Hans Koenigsmann, SpaceX’s vice president of mission assurance, said before Sunday’s launch that the Falcon 9 rocket’s first stage could have returned to Vandenberg after the Jason 3 launch due to the satellite’s relatively low mass and low orbit. 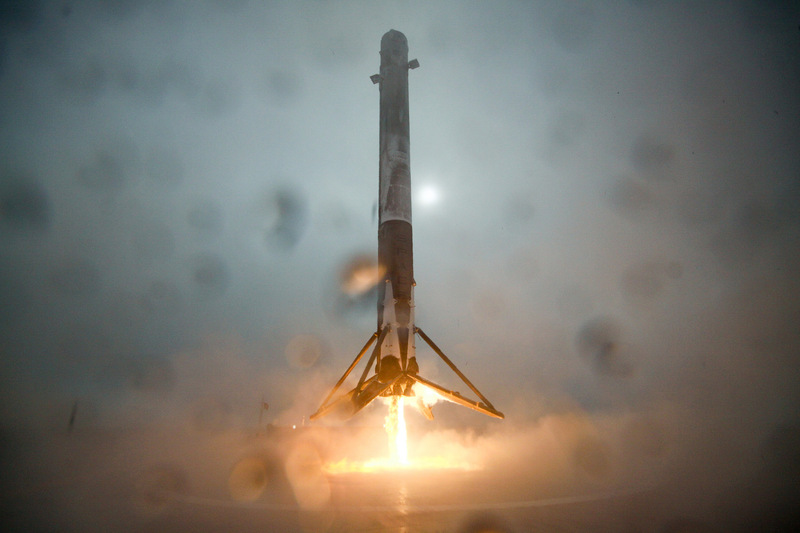 But SpaceX could not secure environmental approval for the onshore landing in time.